Zola Electric enters the Nigerian home solar kit market. The company's objective is to provide its mini-grids, on a household scale, to one million people over the next three years. It is facing Azuri Technologie in this market of more than 200 million inhabitants. It’s official. Zola Electric enters the solar home systems market in Nigeria. 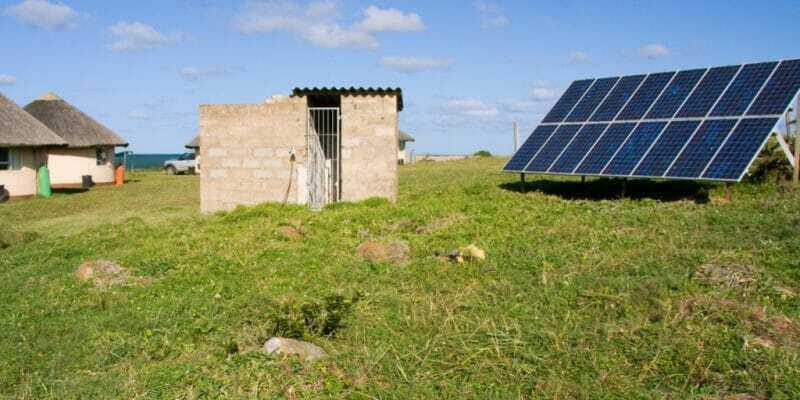 Its arrival is not surprising, as the government of this West African country is promoting mini-grids, with the support of its financial partners. Zola Electric arrives with an ambitious goal: to provide electricity to one million people within three years. “With the current lack of access to electricity in Nigeria, which affects about 80 million people every day, Zola’s arrival will help Nigerian households and businesses access solar energy and intelligent storage 24 hours a day, at a monthly price lower than the average energy consumption of diesel generators,” says Bill Lenihan, CEO of the young company. The solution it offers to people living in rural areas is generally composed of a set of solar panels, LED bulbs (economical in terms of energy consumption), mobile phone charging stations and an “intelligent electricity storage system”. In addition, the company also wants to supply off-grid energy to Nigerian companies. To date, Zola Electric has already sold its solar home kits to 200,000 households in Rwanda, Tanzania, Ivory Coast and Ghana. In Nigeria, the company will continue to distribute them through mobile banking and the pay-as-you-go model, which allows payment in small amounts over a slightly longer period. In this fast-growing market, Zola Electric will face the British company, Azuri Technologies. The latter is also present in Rwanda and Tanzania and has also entered the solar kit market in South Africa, Zambia and Uganda. In Nigeria, it recently signed an agreement with First Bank of Nigeria, one of the country’s oldest and largest financial institutions. It will thus be able to offer its “Firstmonie” service (mobile banking) for the payment of its solar home systems. Bboxx, another British company specialising in this type of equipment, is also monitoring this market.